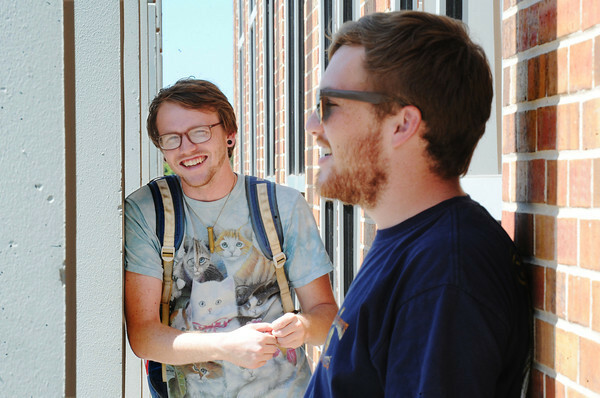 MSSU sophomore English education major Josh Myers of Joplin (left) and junior history education major Zach Baughman of Carl Junction stand in the shade of columns outside the university library Wednesday afternoon, Sept. 4, 2013, as they discuss the cost of school, loans and ways to pay off school. "Teachers don't make a whole lot," Baughman said. "So the government is very helpful in supplementing your income. Teachers can get homes cheaper in revitalization areas through urban development (HUD)."